Zlatan Ibrahimovic, the Nobel prize, ABBA, Polar bears, Olof Palme, Vikings or meatballs. What is the first that comes to mind? 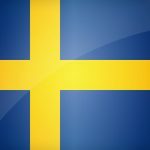 Sweden does not have any polar bears however there is a big variety of unique sights and history to discover, fun traditions with culinary experiences and lists of beautiful national parks to explore. enjoy the taste of fantastic seafood from the west coast, roe from north, elk or reindeer meat, salmon, cloudberries, mushrooms and much more from our nature. Dine at restaurants, as a magical activity or let us arrange a Swedish traditional party, we know the hidden gems that you do not want to miss. Follow interests and seek the environment that gives you the right energy!